So by visiting this page we assume that the stunning decors we offer have wet your appetite and you now require to see a sample of the real thing! Please fill in the form below, choose your decors from the drop down menu, and we will post them out to you FREE OF CHARGE! 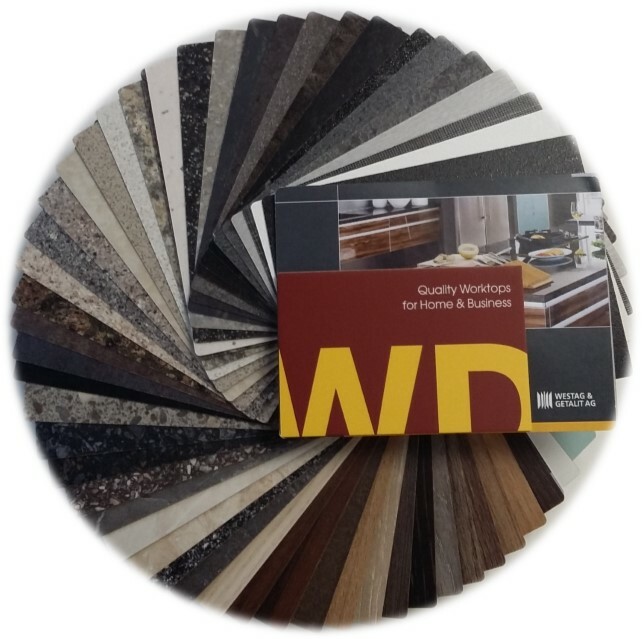 The samples are a generous A5 size and will help you decide which worktop decor to order. Please DO NOT send any messages with these forms as they could be missed due to the amount of sample requests we receive each day. Sample Request Form – Up to 4 FREE samples usually arriving within 3-4 working days. 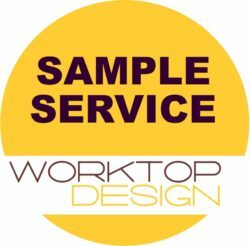 Sample Request Form – Up to 2 FREE samples usually arriving within 10 working days. Sample Request Form – Up to 2 FREE samples usually arriving within 3-4 working days. Not sure which laminate decors to select! We now offer a complete set [ 35 decors ] of | CollectionONE | laminate samples to help you plan your colour scheme. Each sample is 110 x 43mm in size & will give you a good idea of the colour and texture before ordering the A5 samples. The cost of the sample swatch is £5.00 & will be refunded against a worktop order. Sorry, no stock at the moment! Unit 1 Zan Industrial Park, Sandbach. Sizes quoted are nominal as per industry norm. Copyright © 2019 WorktopDesign. Powered by WordPress. Theme: Spacious by ThemeGrill.